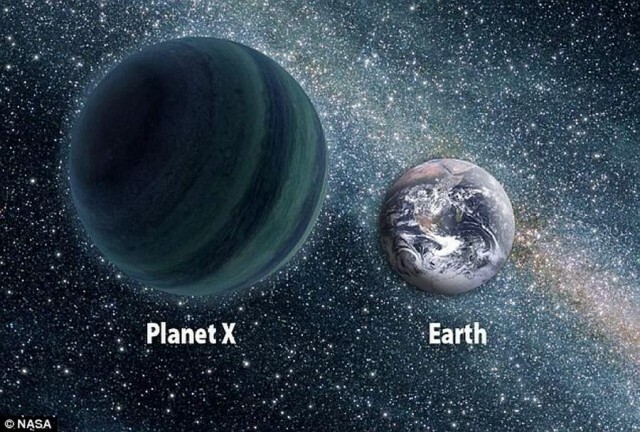 A new 9th planet for the solar system? Astronomers say a Neptune-sized planet lurks beyond Pluto. Last edited by Lepus : 18-02-2016 at 05:10 PM. Or planet Niburu. Some say that he could collide with Earth in some years. Sidenote:On the Nasa websight or space.com, you can see photos from the Hubble Telescope, tons of space and galaxy photos. It's so beautiful. Lucky you. I would be glad to have a star gazing national park somewhere around in my area. Fortunately, I don't live in a city where lights are interfering with the stars. Thus, star gazing is possible for me and I would like to own a telescope some day. The photos of the outer space are amazing. Truly magical. I wonder, which is the best telescope? I've been watching some youtube videos about this planet x/nibiru subject lately... But I'm a bit confused so maybe someone on here could clear things up a bit? - or a planet that was destroyed a very long time ago, in which case it would have been in our galaxy at the exact spot where we can see the asteroids belt right now. This is also the exact place where the ninth planet is located when you analize the positioning of many ancient structures around the world. Or am I mixing two things up now? I am also wondering, if this planet is closer to us every 3600 years, when this has happened last and if it is linked to any big thing happening here on earth. c'mon, this one has been around for years. there could be something beyond Pluto but I don't think the ancients would have predicted it... we tend to idealize the ancients as we do with the dead. If I may share something slightly not relevant, I fairly recently created a pen name for myself, and the last initial for said name is X [it stands for Xeno, which is Greek for stranger].